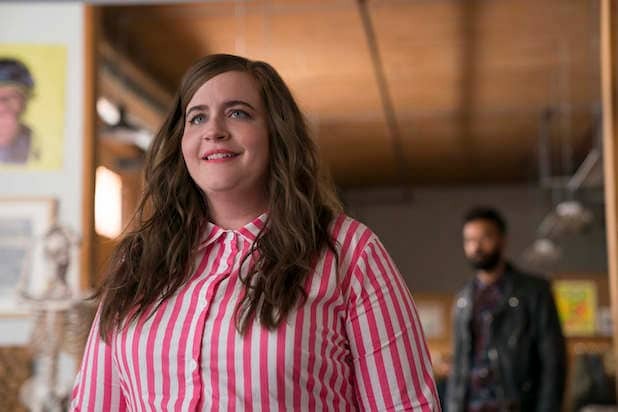 Hulu has renewed Aidy Bryant comedy “Shrill” for an eight-episode second season, which will premiere in 2020. “Shrill,” which initially debuted on Wednesday, March 15, stars “Saturday Night Live” player Bryant as Annie, a fat young woman who wants to change her life — but not her body, according to the streaming service’s logline. Lolly Adefope, Luka Jones, Ian Owens, John Cameron Mitchell, Patti Harrison, Julia Sweeney and Daniel Stern also star on the sitcom. “Shrill” had a six-episode order for its first season. Bryant’s “SNL” boss Lorne Michaels is an executive producer on the project alongside Elizabeth Banks, Max Handelman and Andrew Singer. Ali Rushfield is showrunner, Dannah Shinder is producer. Lindy West, whose book “Shrill: Notes From a Loud Woman” inspired the series, is also an executive producer on the Warner Bros. series. Following its acquisition of most of 21st Century Fox assets, Disney now owns 60 percent of Hulu. That fact did not deter Disney from creating its subscription streaming service, Disney+. That SVOD option will cost $6.99 per month — or $69.99 for the full year — and is set to launch on Nov. 12. One thing that is cool about Disney+ is that all content will be available for downloading and offline viewing, the company said. Read more about the new service here.